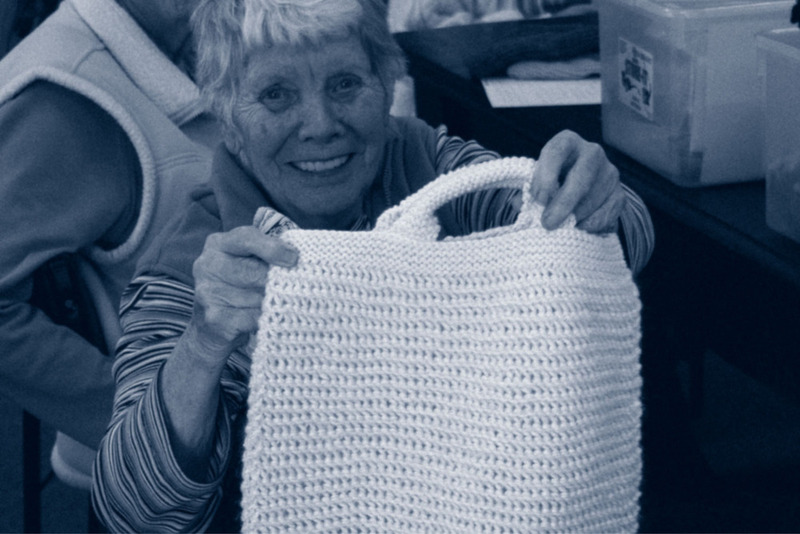 In November 2013 the National Hands Network assisted an Australian fashion brand, to take its Hand Knit Textile manufacture to rural and regional Australian communities who needed work but who had strong backgrounds in handcraft and textile inventiveness. In these communities there was a true willingness to assist the Brand to find unique ways to build fashion products for their global end consumer. In March 2014 the Brand and its Victorian Knit Team won its first design award in Milan. These marginalised communities want the Knit Wear Brand manufacture to stay and are working very hard to deliver on all that is required of them. Establishing an Australian rural and regional Knit Team, the manufacturing base for the Brand, in these local communities has meant occupation and paid work close to home. The return of new paid work avenues will be vital in the campaign to buy locally and to see their local communities survive economically. The TRADING YOURSELF platform has delivered Global manufacturing standards training, product development learning programmes and an education resource that simply was not available to these communities. National Hands network has a dedicated B2B department that seeks out manufacturing opportunities that can direct paid work towards marginalised locations around the world.. Further the NHN scouts at the local level for economic development opportunity that could lead to local jobs creation and for people with an idea that can be mentored and incubated for commercial release via the NHN 'Social Business Factory'. The B2B department works hard to develop relationships with existing business that are prepared to support the creation of paid work in marginalised communities; discussing different ways for them to look at their supply chain and to include a work force that may not be metro located.